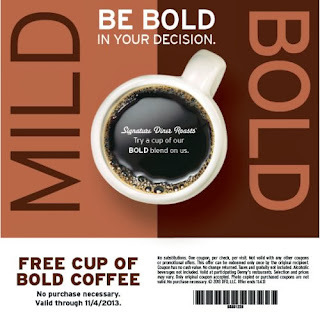 Get a free cup of bold coffee @ Denny's. Click the link below to go print your coupon. Take your coupon to your nearest Denny's to redeem it. No purchase necessary Offer valid until 11/4/13.